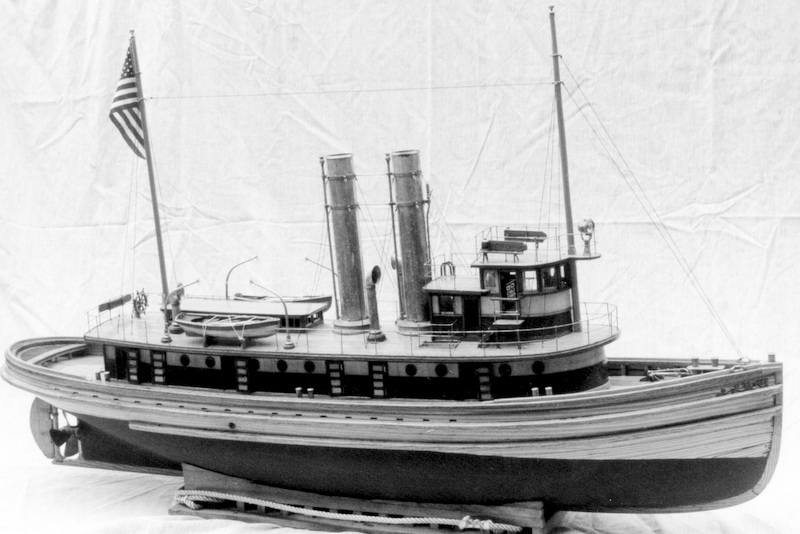 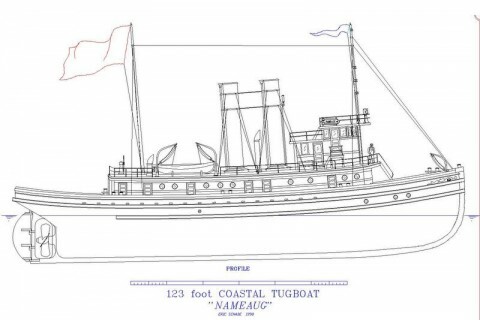 This is a scale model of a 128 foot steam powered coastal tugboat. She is freelance design but based on several actual vessels. 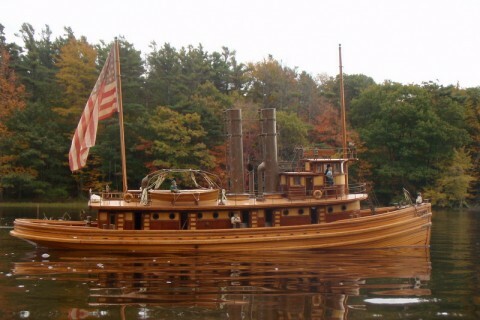 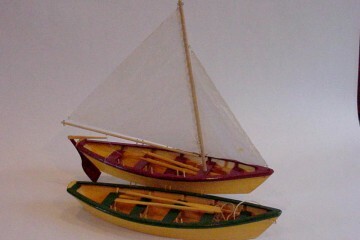 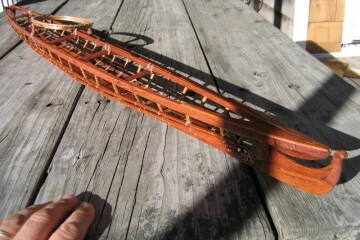 I built my model at the scale of 3/8″ to the foot (1:32 scale) My 48″ model uses a Stuart Turner D-10 two cylinder steam engine and will pull a canoe in style! 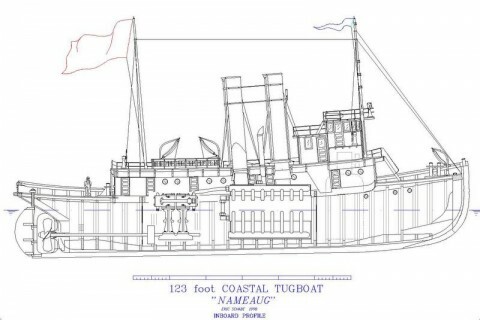 Large format plans covering hull lines, inboard and outboard profiles and plan views. 123′ long, 1/48th scale. 4 – 24″ x 36″ sheets plus a 1/32nd scale lines drawing. 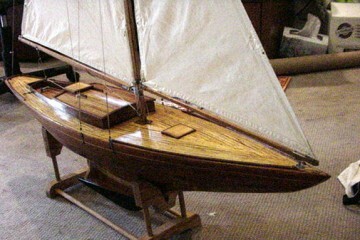 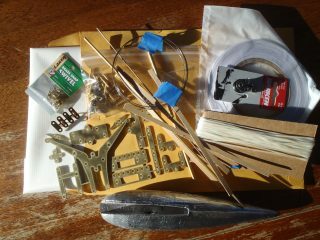 and a detailed article on the model’s construction.